Abiogen Pharma is a specialist pharmaceutical company that focuses on bone metabolism and rare diseases. The company provides research and development (R&D) services, alongside the production and marketing of its own and external products. Since its creation, the company has enhanced and developed the know-how gained through years of manufacturing and the skills acquired in pharmaceutical development. Galileo Research is a spin-off of Abiogen Pharma’s Research Centre. It has been provided with a solid and skilled management, which is also supported by a prestigious Scientific Board and will be entitled to achieve important results both in scientific and financial fields. Abiogen Pharma is experienced in marketing pharmaceuticals and has direct experience from the development of its own products. It has a wide network of sales representatives that work closely with general practitioners (GP), industry specialists, and executives from health and hospitality companies. The company offers in-licensing and out-licensing of pharmaceutical products to strengthen its commercial impact on a national and international level. Out-licensing helps strengthen the commercial impact of Abiogen, while in-licensing assures a continuous, dynamic development of the company through the identification and realisation of new business opportunities. Pain and vicosupplementation: Abiogen Pharma produces a complete line of products for the inflammatory and neurological pain, as well as acute or chronic pain. The company commercialises a cross-linked hyaluronic acid device soft-gel, which features 80% cross-linked hyaluronic acid and 20% low-molecular weight linear hyalauric acid. Dermatology: Abiogen Pharma has aided skin specialists and general practioners to offer therapeutic solutions for skin pathologies. Its portfolio of drugs in this area includes a line of cosmetics featuring innovative formulations, specifically designed for the treatment of seborrheic dermatitis. In September 2016 Abiogen Pharma launched an innovative formulation of a topical cortisone product for atopic dermatitis and psoriasis. Diabetology: Abiogen Pharma provides diabetology specialists with consolidated oral therapies for the treatment of Type 2 diabetes, which are still widely prescribed thanks to the excellent safety / effectiveness ratio combined with a very competitive therapy cost. Abiogen Pharma was founded in 1997 by Massimo Di Martino. 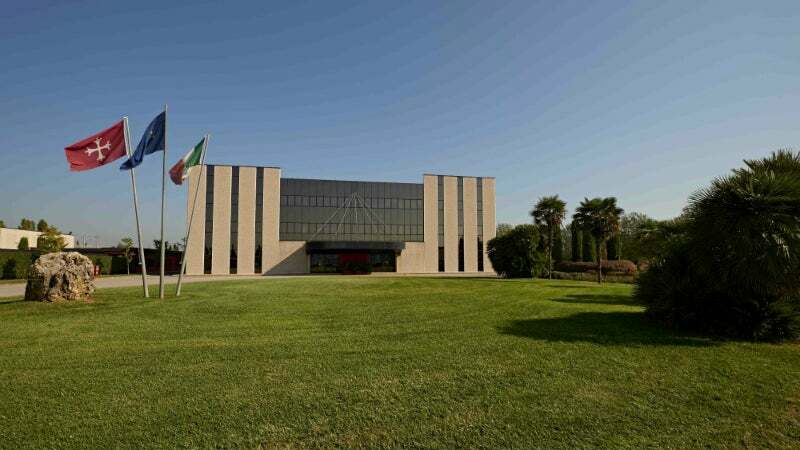 After selling the Istituto Gentili, which was founded by his great grandfather Alfredo Gentili, to Merck Sharp & Dohme, he decided to maintain the family’s tradition. Today, it is one of the top 30 pharmaceutical companies in Italy, with 358 employees and 2016 sales or around €157m. Abiogen Pharma has a strong international presence and focuses on delivering drugs made in Italy to the international market. In the short and medium term, the process of internationalisation will be the heart of the strategic plan of the company, with effective action and focus on European and extra European countries. Development of an aminobisphosphonate such as New Chemical Entity in China and Japan. Abiogen has announced it will be attending this year's Cosmofarma exhibition. Abiogen Pharma aims to continuously enhance its own know-how by specialising and partnering with other companies in the sector in order to develop, manufacture and market targeting medical solutions in primary care and rare diseases both in Italy and worldwide. The activities developed and the successes obtained in the last decade confirm the vision of Abiogen Pharma towards a range of services aimed at creating real value to the projects undertaken and building a synergistic partnership with its customers. Abiogen Pharma’s strategic choice to invest in a plant at the avant-garde of dimensions and technological solutions comes from the conviction that the outsourcing of products has become an opportunity for many pharmaceutical companies that have glimpsed the possibility to rationalise their facilities for the production of external products, thereby taking advantage of the greater competitiveness of those companies whose production site has become an authentic core business. Abiogen offers medicinal, medical device and cosmetics product manufacturing. Abiogen Pharma has always taken care in adapting to new regulations and, in some cases, anticipating them thanks to the numerous collaboration agreements with leading multinational companies. Collaborations with major national and international pharmaceutical companies have always represented the core of Abiogen Pharma’s activities, and it is thanks to these relationships that the company was established. In August 2014, Merck Serono began constructing a new pharmaceutical manufacturing facility in Nantong, China. Switzerland-based medical technology company Ypsomed is constructing a new production facility at the Schwerin industrial park in Germany. Brazilian pharmaceutical firm Biolab Farmacêutica has opened a new research and development (R&D) centre in Mississauga in the Greater Toronto Area (GTA) of Ontario, Canada. German pharmaceutical firm Fresenius Kabi is expanding its pharmaceutical manufacturing facility in Wilson, North Carolina. Abiogen Pharma has announced it will be showcasing its products at CPhI Worldwide.